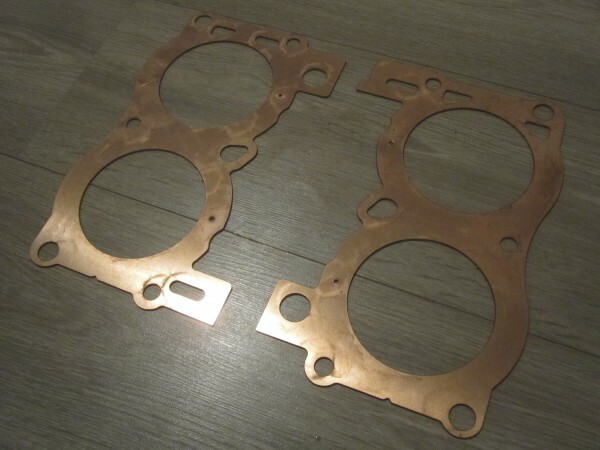 Head gaskets can be laser or water jet cut from soft grade 1mm copper sheet. Please ask your machine shop for head/ deck finish and installation specifications; copper head gaskets cannot be applied on heads/ decks surfaced for traditional head gaskets and a special gasket sealant must be used. Please note the design of these gaskets is intended for closed deck heads.